Head over to the sun-blazed open beaches of Sydney for a holiday you’ll remember for a lifetime. This cosmopolitan city has different flavors for every taste and you can plan your Sydney trip by picking activities that suit your preferences. 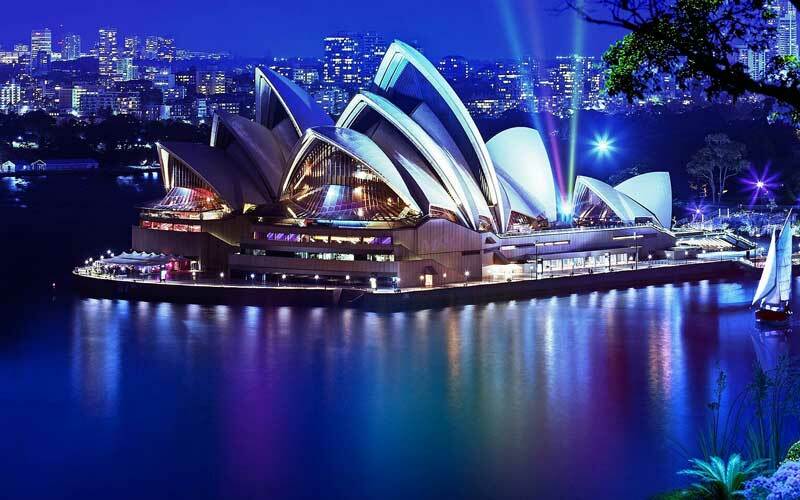 Sydney is really a glittering hub that throws spotlight on best of Australian culture and lifestyle also giving you the best ocean-side fun with its open Pacific front. Go to the opera houses, watch theatre, visit museums or head out to Manly beach for some time out and you’ll have enough to do till your holiday ends. Sydney also has some of the most happening nightlife in its fold. Really the city never sleeps and there are funky bars or nightclubs and fine dining restaurants to go to. Summertime is a good season to visit Sydney and if you’re up to a family holiday its likely you’ll have a lot on your itinerary starting from whitewater rafting, surfing, horse riding, bowling, different water sports and wildlife encounters. The Taronga zoo and the sea-life Sydney aquarium are great if you want to see aquatic wildlife. There’s also the wildlife Sydney zoo and Manly Sea Life Sanctuary to visit. Plan a drive to Gordon’s bay or take your swimsuit for a day out at Manly beach. Sydney also has many spectacular landmarks to visit. Get climbing to the harbor bridge that offers you a panoramic view of the Sydney harbor. The Sydney Tower Eye is a better option if you’re on for a spectacular view of the city. Have fun at the Chinese garden-of-friendship located at the Darling harbor. Come evening on a weekend and the harbor lights up with firework displays. But if you like boats there’s the Australian national maritime museum. There’s also visit to the Powerhouse museum, Syndey Olympic park and the Moore Park you can’t pass. Take a break from the din and humdrum of the city and plan a day trip to Cockatoo Island. If you’re in Sydney in summer the Sydney festival that hosts hundreds of visual and other performances is an experience to try out. Many people like the Luna Park that is an old but entertaining amusement park that can be approach by taking a ferry ride from the Circular Quay. There are three botanic gardens in this coastal city and the Royal garden is the most popular. Watch out for excellent vantage points and the famous Mrs. Macquarie’s chair. For art lovers the Museum of Contemporary Art Australia brings a delightful tray of art works. If this is not enough get out to the Centrennial park that gets a huge crowd of horse riders, cyclists, runners and roller-blade enthusiasts every day. Sydney is surrounded by some excellent beaches facing Pacific Ocean on the stretch between Hawkesbury river and Royal National park. Palm Beach, Barrenjoey beach, Currawong beach and Great Mackerel are top choices for visiting beaches when in Sydney. You can scuba dive or snorkel but if you want to get more, take off to Hunter valley that has vineyards or the Blue Mountains on the western boundary.